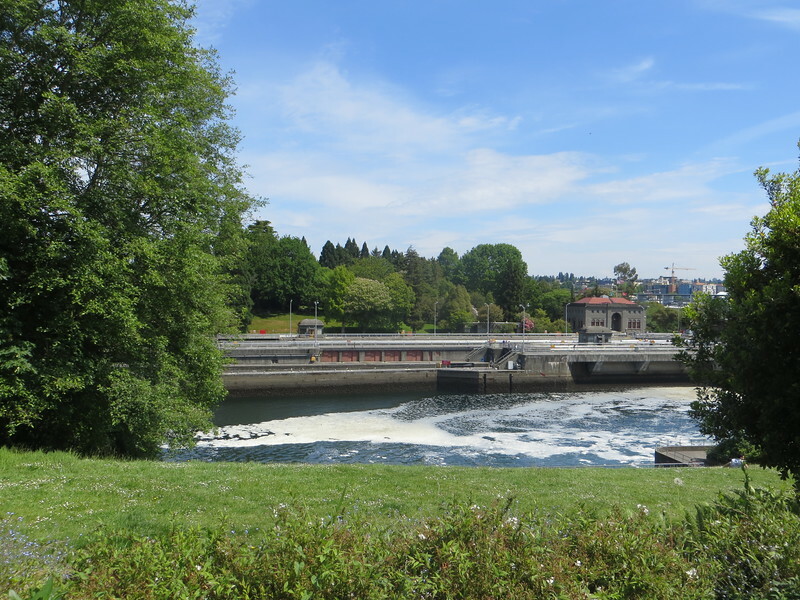 The Hiram M. Chittenden Locks sit the west end of Salmon Bay which is part of the Lake Washington Ship Canal. There are two locks, one 30 x 150 ft. and the other 80 x 825. Quoting Wikipedia: "The locks and associated facilities serve three purposes: to maintain the water level of the freshwater Lake Washington and Lake Union at 20-22 feet above sea level (Puget Sound's mean low tide); to prevent the mixing of the sea water from Puget Sound with the freshwater of the lakes...; to move boats from the water level of the lakes to the water level of Puget Sound and vice versa."